FOXSEW Double Needle Heavy Duty Compound Feed Walking Foot Lockstitch Industrial Sewing Machine. It is fitted with the more advanced large vertically mounted hook assembly and drive transmission: which usually perform better than the standard and cheaper horizontal hook type set-up. The machine is smooth running, durable, versatile and its robust construction includes: needle roller bearings for the arm & hook shaft etc., cog driven belt assemblies and more importantly an automatic oil lubrication system is fitted, which reduces wear & tear considerably. A stitch length of up-to 9mm is available for functional and decorative stitching, plus the presser foot has a high clearance of up-to 16mm. A safety clutch is fitted to help prevent damage to the hook, bevel gears and other important parts, should the machine become jammed or over-loaded. Looking for ideal Sofa Furniture Heavy Duty Lockstitch Machine Manufacturer & supplier ? We have a wide selection at great prices to help you get creative. 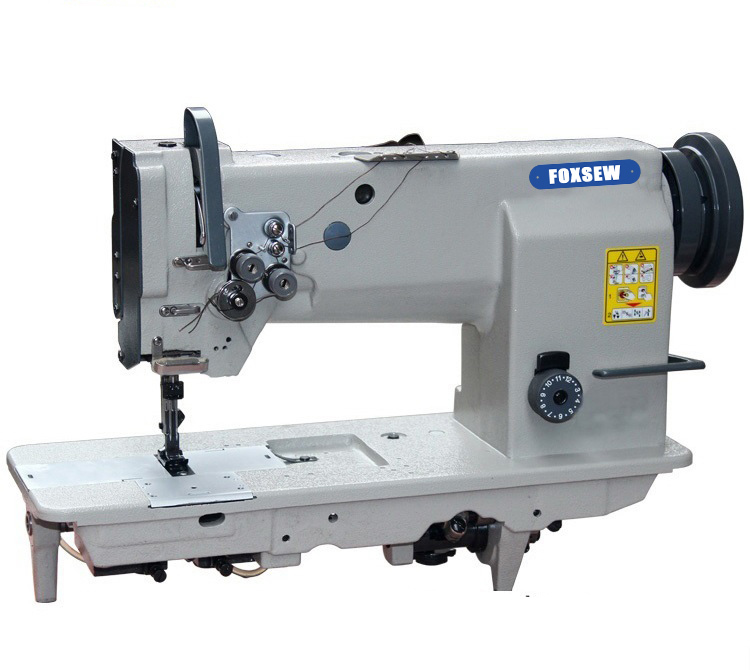 All the Double Needle Compound Feed Sewing Machine are quality guaranteed. We are China Origin Factory of Compound Feed Sofa Furniture Sewing Machine. If you have any question, please feel free to contact us.